Change up your studs with your every outfit with this versatile set! 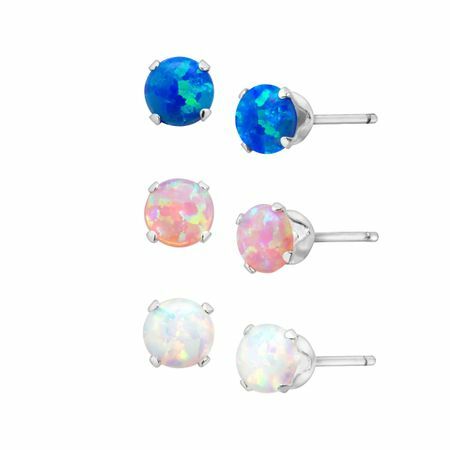 Round-cut created blue, pink, and white opals, totaling 3/4 ct, are set in rhodium-plated sterling silver. Pieces measure 1/8 by 1/8 inches.